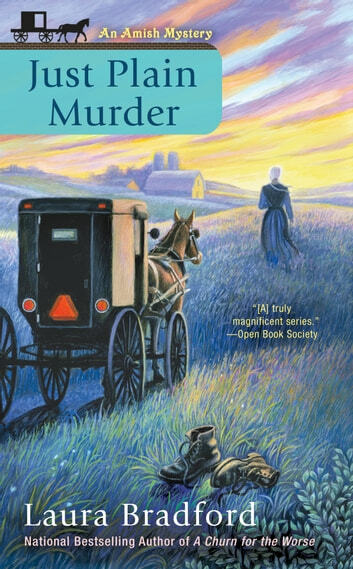 Claire Weatherly and her beau, police detective Jakob Fisher, learn that when it comes to murder, evil can hide in plain sight in this all-new addition to the national bestselling Amish Mysteries. Jakob and Claire have been enjoying more time together in lovely Heavenly, PA. With Claire's help, the detective is making slow progress reconnecting with the members of his Amish family who shunned him when he left to pursue a career in law enforcement. Jakob's mentor, Russ Granger, the long-retired police chief who inspired him to become a cop, is back in town. Claire has always wanted to meet the man who changed the course of Jakob's life. But not long after he arrives in Heavenly, Russ is murdered. 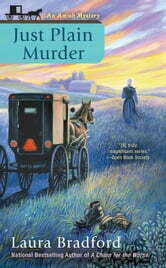 Jakob can only imagine that his old friend must have been killed by someone outside of the Amish community. He and Claire soon find that things are not as they seem--and that Russ may have stumbled into something sinister before he was killed. The answers they uncover are closer to home and more shocking than they ever expected. I enjoyed the characters in this series, the unexpected outcome. Caught me wondering until the end.